This year’s turkey dinner won’t cost you any more than last year’s. The average cost of a classic Thanksgiving Dinner for 10 people is $49.04 according to the American Farm Bureau Federation’s survey. That’s a 44-cent or 0.9% price decrease from last year. The bird soaks up the lion’s share of the budget at 44% of the meal’s cost. The 16-pound turkey came in at $21.76 this year or $1.36 per pound. The biggest year-over-year change on a percentage basis were the sweet potatos whose cost increased 6.7%. Green peas contributed the biggest percentage drop at -7.2%. 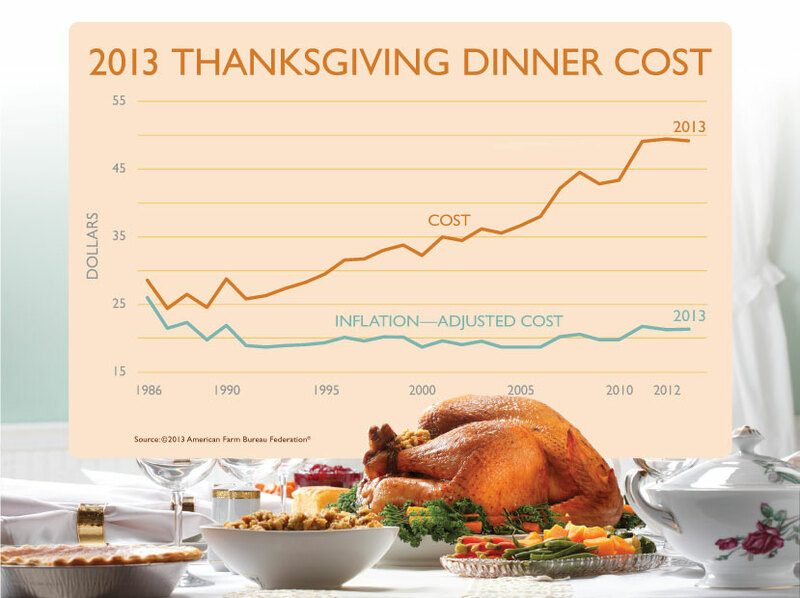 The average cost of a turkey dinner has hovered around $49 since 2011. The relative price stability of the turkey index mirrors the government’s Consumer Price Index for food eaten at home which increased only 1% compared to last year. ‘Tis the season for giving, but how do you know if you’re contributing to a reputable organization that will make the best use of your donation? Charity Navigator (charitynavitagor.org) features a rating system of 1 to 4 stars for dozens of charitable organizations. This non-profit provides key guidance on where it’s best to give and how these charities utilize the money that you give them. The best way to donate is to give directly to the charity through their website. The worst is donating to “cold calls” from a telemarketing firm. The middleman typically keeps 80% to 90% of your contribution and shamefully little actually reaches those in need. Also, avoid appeals delivered via social media because you don’t know who is behind them. Multiple years of strong stock market performance coupled with disciplined savings has propelled 401(k) accounts to a record high. 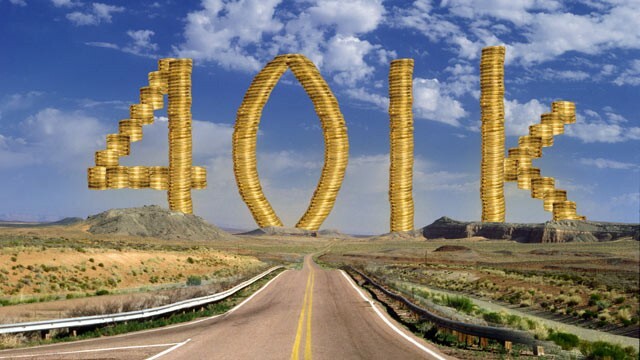 According to Fidelity Investments, the nation’s largest 401(k) provider, the average 401(k) balance reached $84,000 during the third quarter of 2013, up 11% from $75,900 the previous year. This is overall average is based on 12.6 million accounts. 401(k) savers that have been actively contributing to their accounts over the past 10 years saw their average balance grow $223,100, up 19.6% during the 12 months that ended in June. Fidelity also reported that fewer 401(k) participants are relying on “do-it-yourself” investing and instead are moving toward managed accounts and target-date funds. Managed accounts provide individualized investment advice. The federal government has relaxed rules governing flexible spending accounts or FSAs. 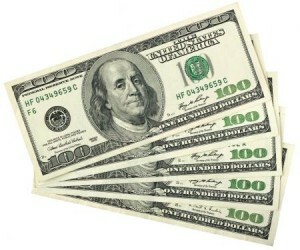 Starting in 2014, consumers may be allowed to roll over as much $500 in unused funds each year. A flexible spending account is a great way to save money with healthcare-related expenses by using pre-tax money. However, one of the drawbacks up until now has been the “use-it-or-lose-it” nature of these accounts. At the beginning of each year you must estimate your eligible medical expenses and set aside that amount in your FSA account. Prior to the new rules, you would lose any funds remaining in your FSA account at the end of the year, though often there is a grace period to use those down. Under the new FSA rules your employer can choose to offer you the option of up to a $500 rollover of unused funds OR a two and a half month grace period, but not both.